The Olympia goes to Cameron! The Remington goes to Candace! And the book goes to Sierra! 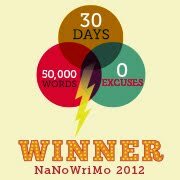 Congratulations to everyone who won. I will contact the winners personally over the next couple of days. I hope you had fun at the type-in. 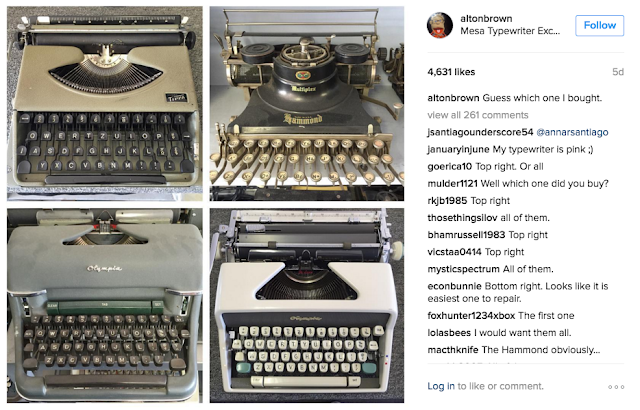 It was certainly exciting to meet so many new typewriter fans. 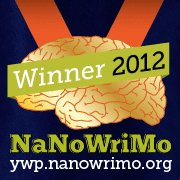 I want to thank all the kind people at Changing Hands and First Draft. 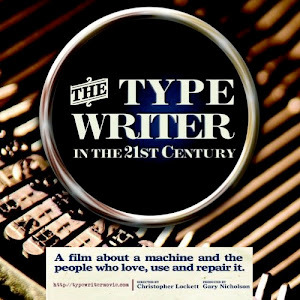 Without their continued support we couldn't have so much fun looking at typewriters. I'll post some pictures in my next post. 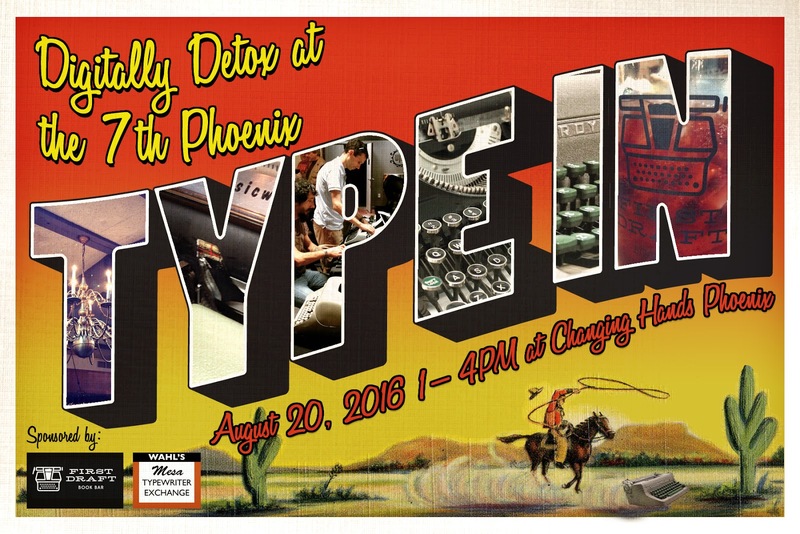 Get ready for the 7th Phoenix Type-In at Changing Hands and First Draft Bookbar in Phoenix! August 20, 1-4pm. Bring a typewriter and digitally detox. 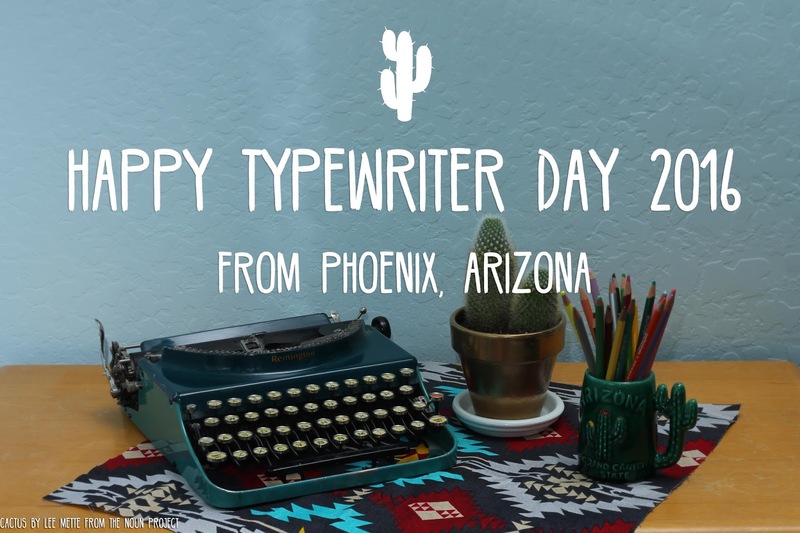 I hope that you have a great typewriter day. Keep those fingers to the keys. 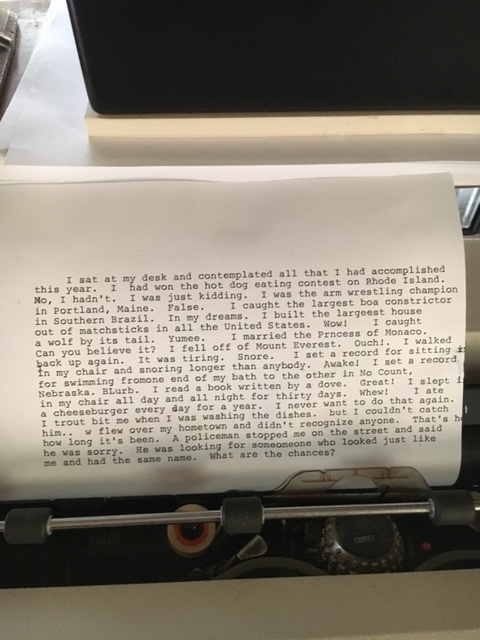 I just found out from The Paris Review that James Tate's final prose poem was left in his typewriter. It's witty and surreal. Fantastic! This is good, but I'm fond of "Very Late, But Not Too Late." 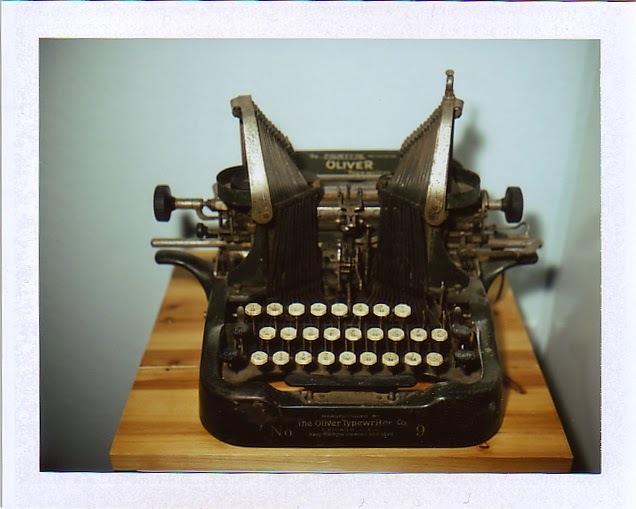 If you are a lover of the analog, this story will darken your heart. 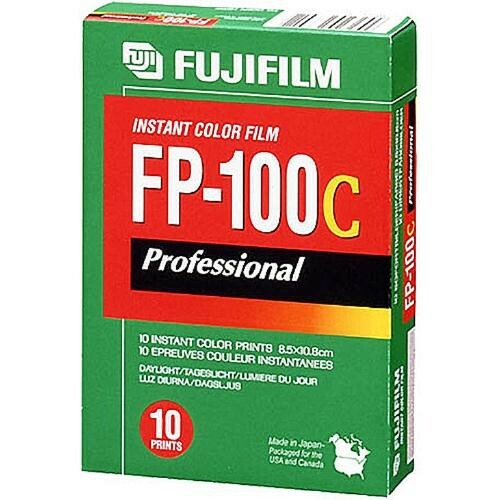 Fuji has decided to end production of their last pull-apart film, FP-100C. If you have a pack film Polaroid, you know how wonderful this film is. 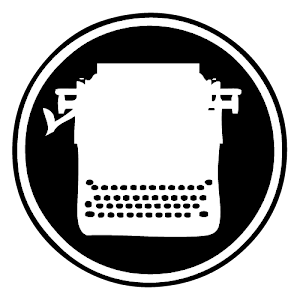 I've even used it for a few typewriter-themed posts. I think Fuji is crazy, but they cite economic reasons. It's a compelling argument, Fuji, but you are the last manufacturer of this technology. Maybe you could raise the price a little. I'd pay. 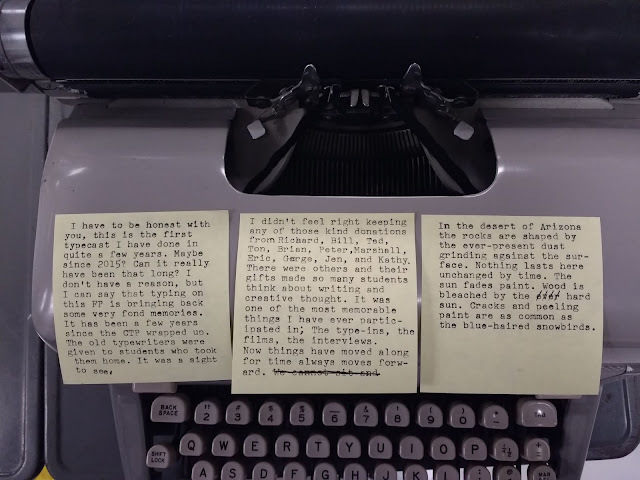 The Impossible Project seems able to keep milking the hipster gravy train*. Do that, but with better film. I signed the petition. You should too. 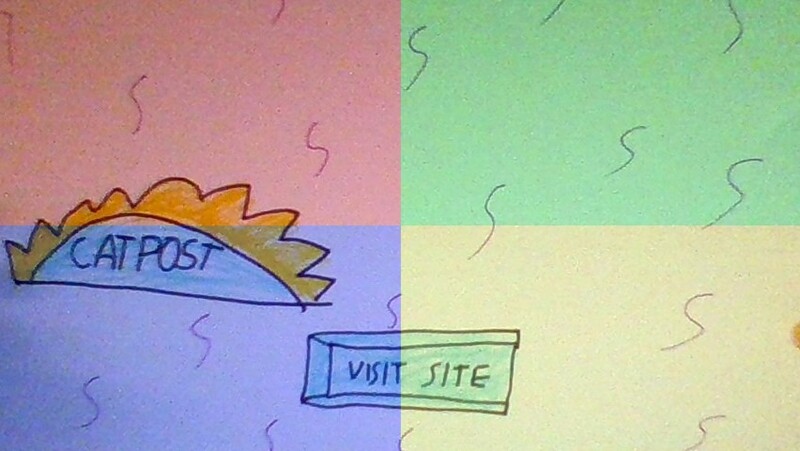 * I am the Pablo Picasso of mixed metaphors. 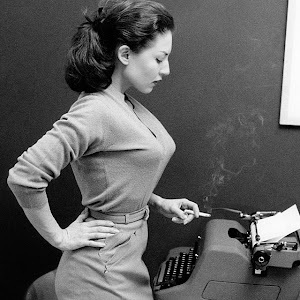 For much of the 20th century dictation was a fairly low-tech affair. Someone would write down what someone said and then type it up on a really nice Royal HH. 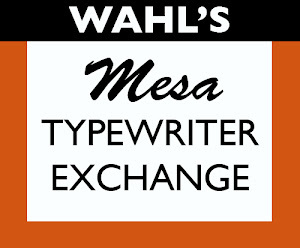 Well, if we were living in some sort of weird future we might have a machine like this: There have been many typewriter/solenoid mashups that do their best to bring the typewriter and computer together. To my thinking there hasn't been one that makes me smile as much as this one posted to Zip Zaps YouTube channel. The build includes a Pololu Maestro servo controller, some servos, an Arduino, and Windows' voice recognition software. I think it's very nicely done and seeing it in action definitely makes you smile.